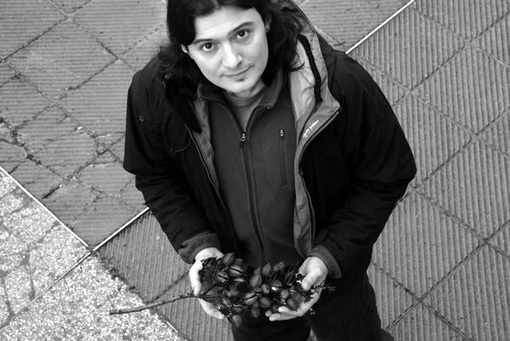 Drummer and percussionist, Cristiano Calcagnile is mainly involved in experimental music and interested in connections among arts and musical languages. He has studied at the Milano Civic School with professors David Searcy, Jonathan Sculli, Mike Quinn and jazz drumming with teacher Enrico Lucchini. Awarded an European Community founded scholarship, he has studied with Ettore Fioravanti, Furio DiCastri, Stefano Zenni, Bruno Tommaso, Franco D’Andrea in Italian prestigious “Siena Jazz ” seminars. He has also studied Djembè with Lamine N’diaye Rose and attended stages with Andrew Cyrill, Francesco Sotgiu, Peter Kowald, Sabine Vogel. He is a member of Bologna ( Italy) based Bassesfere collective (www.bassesfere.com) and involved in musical partnerships with creative musicians from different areas as: Xabier Iriondo; Massimo Falascone; Damo Suzuky; Edoardo Marraffa; Monica Demuru; Tristan Honsinger; Daniele D’Agaro; Rova Saxophone Quartet; Gianluca Petrella; Stefano Bollani; Paolo Angeli; Cristina Zavalloni; Michael Thieke; Alberto Braida among the others.